Hello everyone! It's the start of Lori Holt's brand new Bloom Sew Along today and we are so excited to join the fun! For this Sew Along, we will be sewing the Bloom Quilt using Lori's Sew Simple Shapes templates and her Calico Days fabric collection for Riley Blake Designs. Ready to get started? Download Lori's fabric requirements, or if you want to save the hassle from picking and choosing which Calico Days fabrics you want to use, we created the Bloom Quilt Kit and Backing Set just for you with all of the fabrics you need (and then some) to make your quilt! 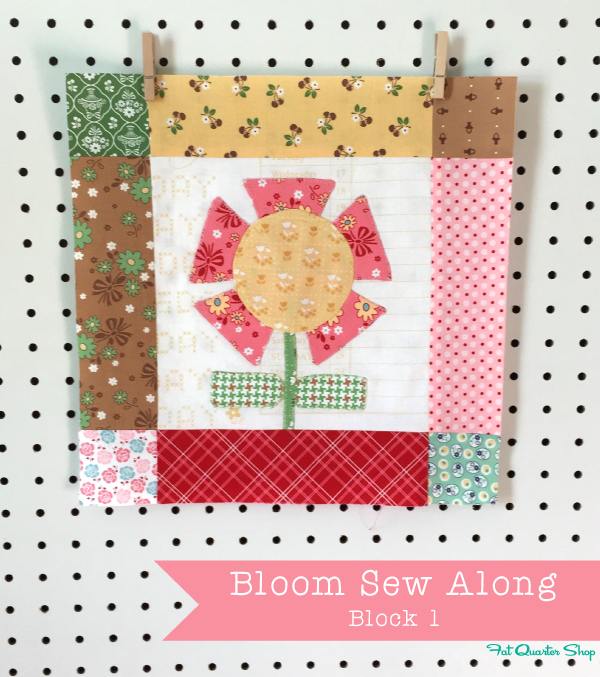 Visit Lori's blog every Monday for her tips and tricks for each Bloom block and visit our blog for a monthly recap on the 18th. We would love to see your bloom blocks on Instagram with #bloomsewalong !